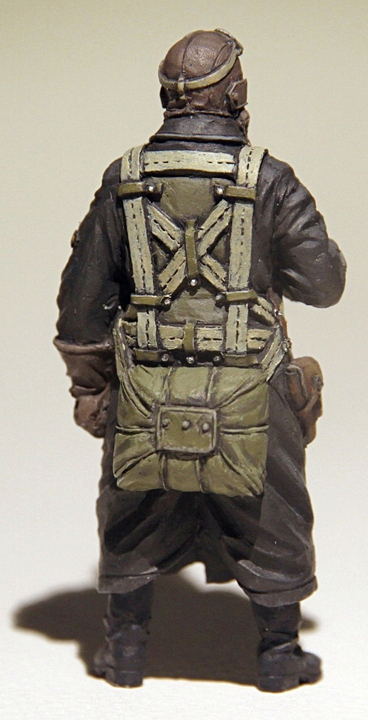 The Modelling News: "Not much to Build” Review: WWII Soviet Fighter Pilot in 1/32nd scale from Qing Yi Miniatures. 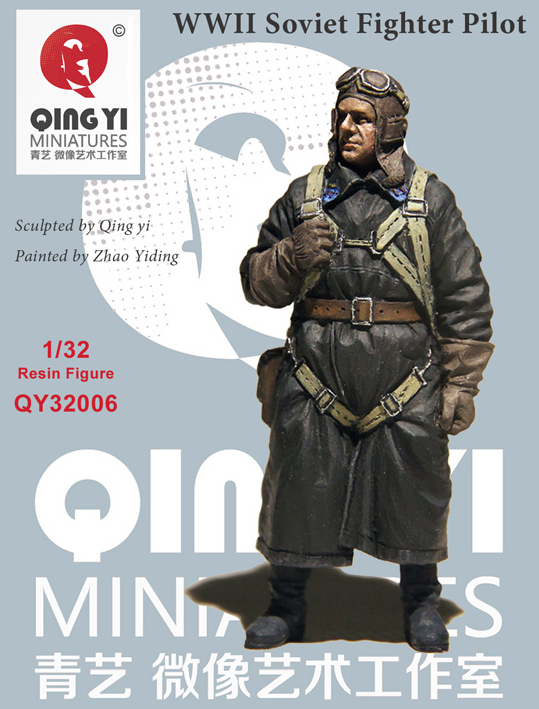 This is a 1/32 (54mm) resin figure is from Qing Yi Miniatures. Their figures are distributed through Neucraft Models, and ours arrived within a week in a safe box and a little surprise inside. Before we look at what was inside the box, however, we have some info on who the pilot sculpt was inspired by and based on. 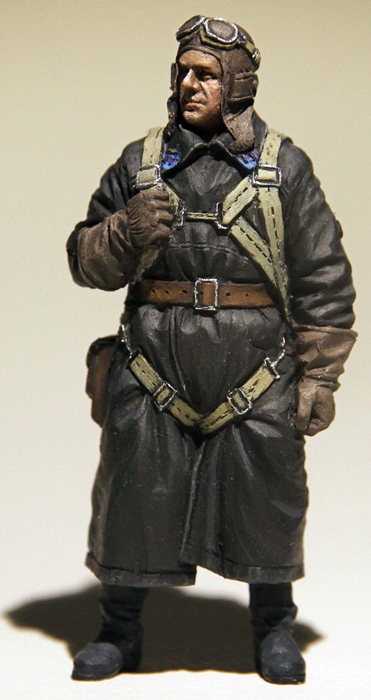 The pilot figure was inspired by a photo of the famous Soviet fighter ace – Hero of the Soviet Union - Lieutenant-Colonel Boris F. Safonov. 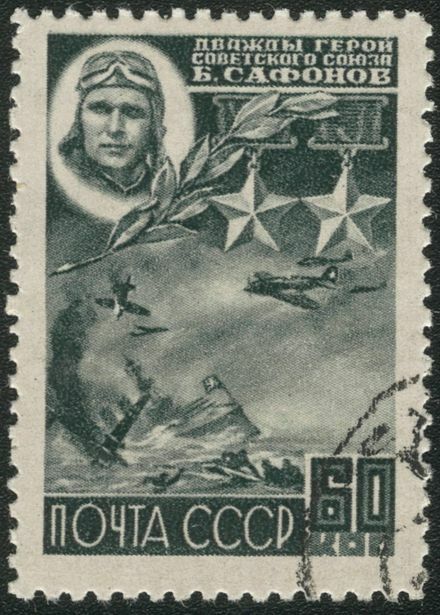 A Soviet postage stamp issued in 1944, showing Safonov, his medals, and an imagined combat scene. 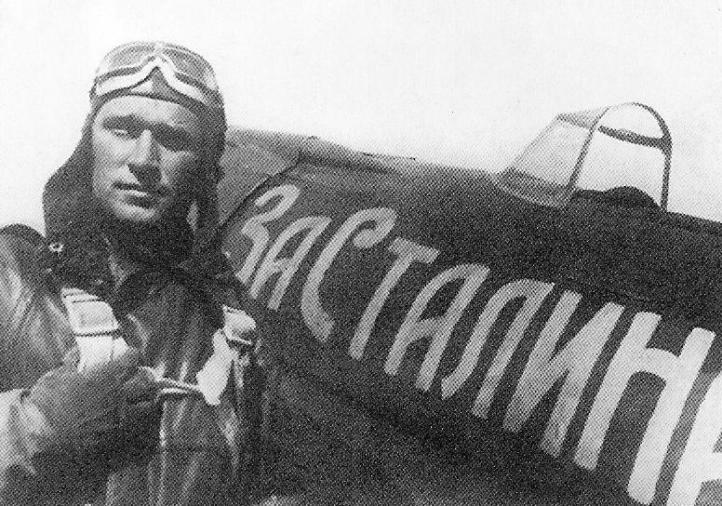 The best known Soviet fighter ace during the first period of the war, Boris Safonov flew with 72 SAP (Composite Aviation Regiment) of the Air Force of the Soviet Northern Fleet (VVS SF) in the Murmansk area in the far North of the country. This colourful UTI-4 (trainer variant of the I-16 fighter) photographed in the summer of 1942 belongs to the 2nd Guards Fighter Aviation Regiment, Northern Fleet Air Force (2 GIAP, formerly 72 SAP until January 1942). Boris Safonov made his fame as an ace of the Soviet naval aviation, and one of the first whilst flying the I-16. Born August 26, 1916, at Sinyavino, a small village near Tula south of Moscow. Safonov quickly attracted to aviation and first learned to fly gliders at the Tula gliding club before becoming a pilot. He entered the military college of air Kacha in 1933 and graduated in December 1934. 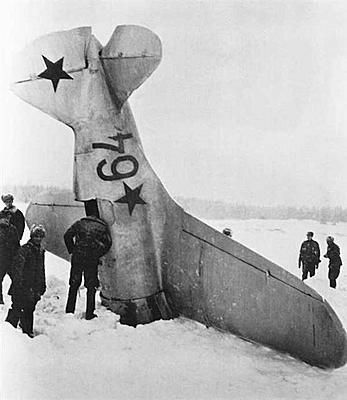 First assigned to a unit on I-15, he moved to the 15th IPA before to opting to join the Soviet naval aviation branch. Safonov scored 17 victories before his death on May 30, 1942. Eight of these were classed as confirmed through researching the official Luftwaffe records. On his last mission, he was credited with another three kills, which brought his official “kills” to a total of twenty. Fourteen of these victories were claimed during the three first months of the war which was a particularly deadly and dire time for the VVS with the Luftwaffe virtually ruling the skies over Russia at that time. All of these whilst flying an I-16 Ishak fighter, an airplane far inferior to the German Messerschmitt Bf109s, he pushed back against the tide of Fascism until his death. 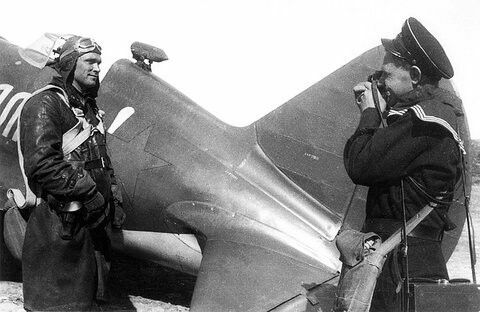 During the war and a stay by RAF fighter pilots in this area in the fall of 1941, Boris Safonov gave the British airmen an impressive show of combat skill. On 16 September 1941, he was awarded the title of “Hero of the Soviet Union” and awarded the “Order of Lenin” along with three awards of the Order of the Red Banner. On 19 March 1942, the British honoured him by awarding him the Distinguished Flying Cross and he was promoted to lieutenant colonel. 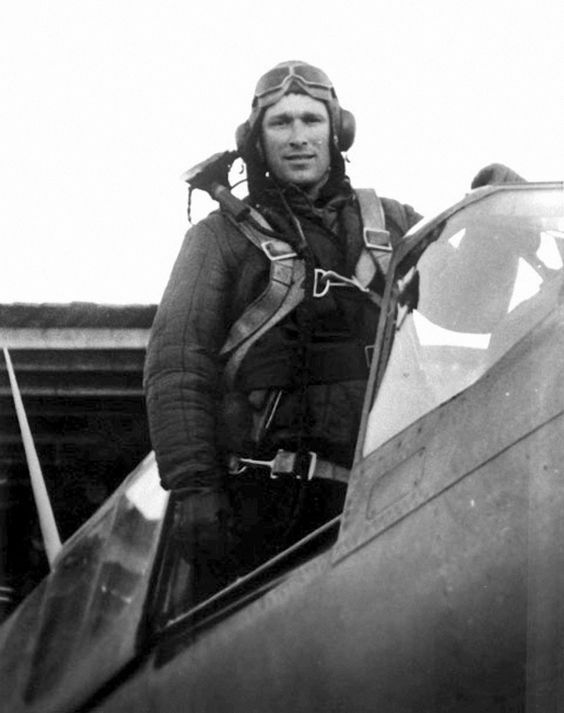 Safonov was reported KIA from ditching his lend-lease Curtiss P-40 Kittyhawk while on patrol whilst protecting a convoy over the Barents Sea on May 30th, 1942. …Well nothing inside but padding anyway. However, noticing that the padding was cut in the shape of a figure, I pulled at the cut out part to reveal a complete 32nd scale soldier of the soviet airforce in grey resin. Having him already together complete kinda put the kibosh on me doing a build review of this figure. I am not complaining, though, as the resin of the figure is very nicely sculpted with no hint of extra resin seams or extraneous material. One piece of grey resin to depict this flyer means no construction time and a figure that is quite tough. Many figures can be quite delicate but this one travelled in my bag, and later my pocket while I carried him around all day. I had my keys in my pocket rummaging around with him before I remembered (I was taking him to see a buddy) and no breaks, chips or scratches of any kind. This guy in resin is as tough as the guy he was replicating. 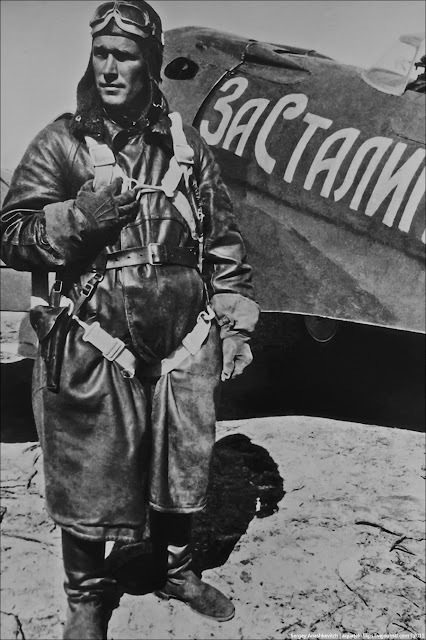 The figure of Boris Safonov is seen in a long and thick leather flying suit of the VVS that is pinched at every joint by his seat parachute which he wears strapped to his back. This seat pack parachute and its straps are dotted with stitching right though them which will hold some detail, but the real detail is in the folds of this flyer’s uniform, collar tabs, leather and the cloth of his billowing uniform. Pinched and pulled to the side this spider of cloth belts really helps give definition to an otherwise large looking sack of a uniform. 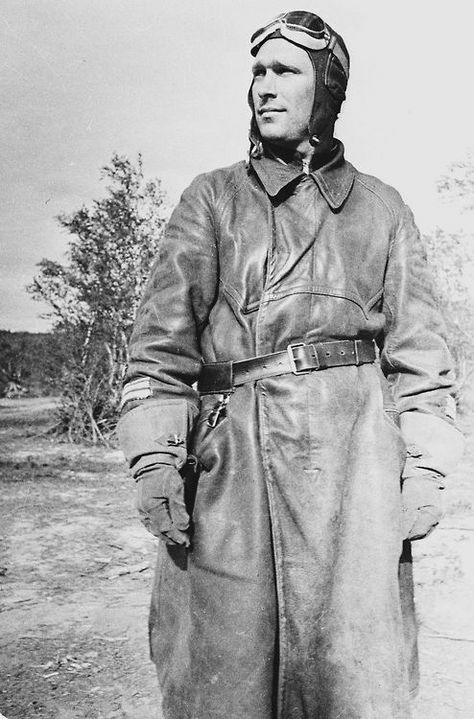 It must have been pretty warm (needed over the Barents Sea) this large, thick leather uniform is gathered at the groin and around the rear of the pilot. 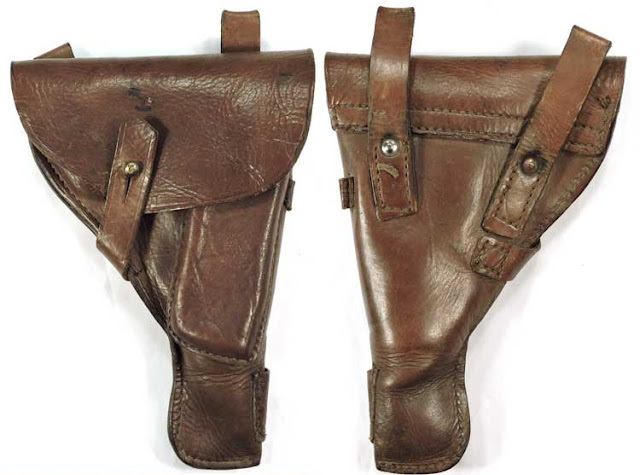 On the figure’s hip there looks to be a Russian T33 Tokarev Holster, easily identified by not only the holder shape but the webbing on the back of the holster. If you look from the back, you can see right up his backside and the underneath of the suit. This is hollowed out by the sculptor thoughtfully. It sure is a casting masterclass example for any other manufacturers out there. The face of the flyer is covered with an early style Soviet flight helmet that is constructed of British and American lend-lease materials. It is based on a pre-war British pattern but is lined with Russian felt wool for warmth. There are no receivers as Soviet aircraft were slow in receiving radio equipment. There are however protective goggles on the figure’s head. What else can I say about this figure? Well, some might like to have the parts separate when painting a figure, but I think that many modellers will not care either way. The sculpting is simple but very effective and the man captured looks a hell of a lot like Boris Safonov as you can see by the pictures through this review. Even if you do not want to capture this famous pilot figure then you can give him a moustache or leave him clean shaven. Many will not recognize the figure and take him for an ordinary heroic Russian VVS pilot. I had not heard of Qing Yi’s products before but I am a bit of an instant fan. It’s a great figure, very well presented and finished. It will paint up very easily with all of the textured detail – what’s NOT to like? Qing Yi’s products can be bought from the Neucraft Models website. Neucraft offers a flat rate shipping of USD$6 for any number of kits. To US, UK, Germany, France, Russia, Ukraine, Australia, Israel, Norway, they ship via ePacket. Average delivery time 11 to 14 days. A tracking number is available. To other countries, Neucraft ship via China Post registered air mail. Average delivery time 21 to 30 days. A tracking number is available.